Many events were organized around the country on July 26 to mark the 63rd anniversary of the War Invalids and Martyrs Day (July 27), with participation of senior Party and Government officials. Party General Secretary Nong Duc Manh on July 26 visited and presented gifts to the families of fallen combatants and war invalids in Hanoi. 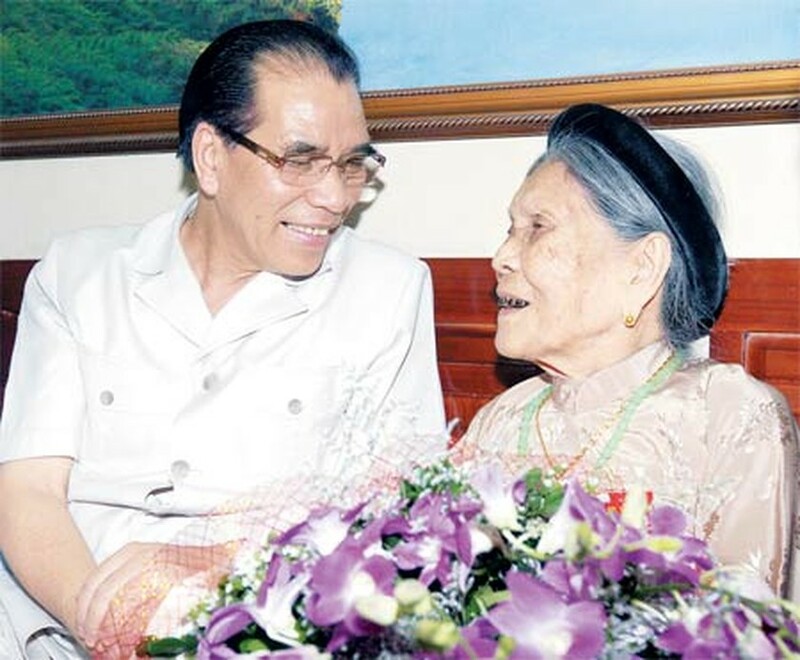 Among those visited were 101-year-old heroic Vietnamese Mother Nguyen Thi Chi in Lieu Giai Ward of Ba Dinh District, whose son scarified his life for the nation during the war, and 82-year-old former wounded soldier Nguyen Van Luy in Ba Dinh district’s Vinh Phuc ward. On behalf of the Party and State, General Secretary Manh expressed his deepest thanks to all war invalids and martyrs for their great contributions to the nation’s revolutionary cause. 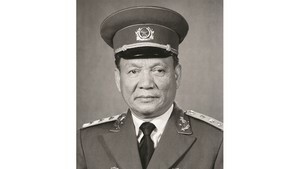 He confirmed that Vietnam’s revolutionary cause has obtained great achievements thanks to the sacrifices of soldiers and war invalids. He added that the Party, State and people will always do their best to maintain those achievements. All wounded and fallen soldiers have set good examples for the younger generations to follow, he noted. The Party leader also praised Hanoi’s authorities for expressing their gratitude to heroes, the families of war invalids and martyrs, as well as all people who performed significant services to the nation’s revolutionary cause. A series of commemorative events are being held up and down the country to mark the day. 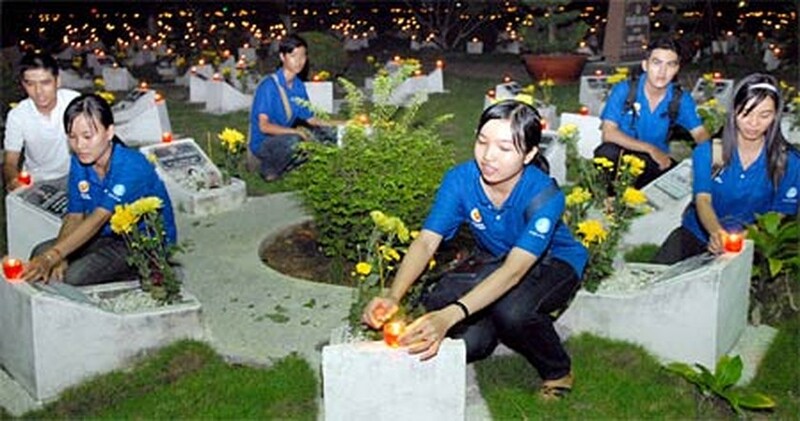 The central committee of Ho Chi Minh City’s Youth Union, in collaboration with the Ministry of Labor, Invalids and Social Affairs, has organized a week-long series of events to mark the contributions made by war martyrs and invalids to the country’s development, such as burning candles, and tidying the gravesites of war martyrs across the country. At the Ho Chi Minh City Martyrs’ Cemetery, incense and candles were lit at more than 14,000 graves during a memorial service attended by city People’s Committee chairman Le Hoang Quan, vice secretary of the city Party Committee Huynh Thi Nhan, permanent vice secretary of the city Party Committee Nguyen Van Dua, and a large number of veterans, former prisoners and nearly 1,500 young people. Similar services were held at over 15,000 graves in martyrs’ cemeteries around the city. In addition, officials and youth members presented gifts to families of war martyrs and invalids and Vietnamese heroic mothers. This is the second year such activities have formally been held at war martyrs’ cemeteries and their relatives’ homes. Meanwhile, a ceremony was held yesterday in honor of 93 war martyrs who died in Cambodia in the southern province of Tay Ninh yesterday. The province also presented gifts worth VND500,000 (US$26) each to 563 Vietnamese heroic mothers and military heroes. Burials of the remains of 25 war martyrs also took place in the Central Highlands province of Dak Nong and the central province of Nghe An. The southern province of Hau Giang held an informal meeting for its over 500 Vietnamese heroic mothers and representatives of families that served during the revolution. The southern Soc Trang Province offered gifts worth nearly VND3 billion (US$156,000) to 14,000 top welfare beneficiary people, and handed over 33 houses to top welfare beneficiary people. Other provinces across the country also laid wreaths and burned incense at martyrs’ cemeteries and distributed gifts to heroic mothers and families of war invalids and martyrs. On this occasion, Tri Tue Viet Company and the HCMC Department of Science and Technology presented the Management Board for Con Dao Historical Relics with a touch-screen kiosk and management software.